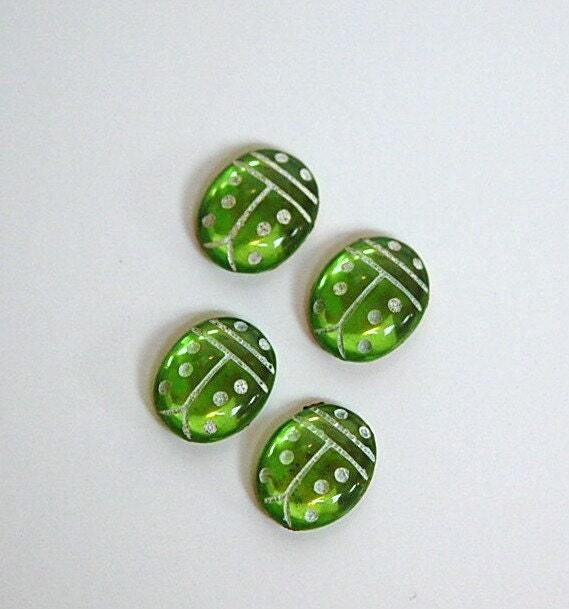 These are glass flat back cabochons. They are peridot green with white details. It is unclear if these are vintage as some were produced in the 1980's and some later. These have a gold foil back. They measure 10mm X 8mm. You will receive 4 pieces. I am listing these in lots of other colors.